The Lagos State Government is desirous of continuing its real property data collection, enumeration of properties as well as-administrating its property – based revenue through the Land Use Charge which is the most efficient manner with optimized collection, storage, monitoring and enforcement processes. This project shall be divided into 3 lots, A, B, C respectively. 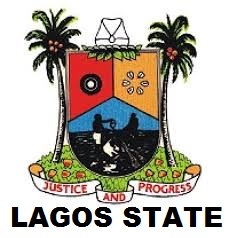 Consequently, the Lagos State Government wishes to invite competent and reputable consultants or consortium with requisite field of knowledge and experience to submit Expression of Interest (E.O.I). (ii) LOTC- One (1) Consultant/Consortium. (5) Development of Alternative Analysis. (iii) Physical description of the property; Title documents of the property. (iv) Approximate size of the property. (v) Approximate footprint of the building. (vi) The Approximate developed area of the building. (viii) Any other relevant information about the property. (D) Documents that must be Submitted for E.O.I. (i) Evidence of Company Registration (Certificate of Incorporation of Company). (ii) Certified True Copy of Memorandum and Article of Association with CAC forms CAC2 & CAC07 inclusive (where applicable). (iii) Evidence of tax payments (current tax clearance certificate) for last three years (2012, 2013, and 2014). (iv) VAT Registration and Evidence of Remittance. (v) Evidence of Payment into Employees’ Retirement Savings Account (RSA) in compliance with extant provision of Pension Reforms Act 2004. (vi) Evidence of Financial capability to execute the project (bank reference letter/bank guarantee will form part of the evaluation criteria). (vii) Evidence of Firm’s Corporate Registration with relevant Professional Bodies. (viii) Copies of the audited account of the company for the last three years. (ix) Corporate profile with curriculum vitae showing evidence of professional qualifications of key personnel. (x) Verification evidence of similar assignments successfully completed /on-going (e.g. letter of award, certificate of completion, contract agreement and payment certificate). (xi) Evidence of compliance with Industrial Training Fund (ITF) regulation (where applicable). That none of firm’s directors or company is bankrupt. Whether or not any of the officers is a member of Lagos State Government, in the past or presently. “Please note that firms registered abroad are to produce evidence of incorporation of firm and other relevant documents which can be verified from the Country’s embassy. (1) The documents are to be submitted in four (4) copies A-4 paper-size and neatly bound. The document should be arranged in the order listed under the expression of interest requirements in (D) above and clearly separated by dividers. (2) The documents which must be sealed in an envelope with the project name clearly written at the top left corner and the name of the Consulting Firm boldly written at the back should be submitted not later than 31st August 2015.